As we say goodbye to 2018, let us take a moment to reflect on the past year. Chopcult.com continue to grow in numbers as membership has rolled past 55,000 strong and the site views continue to wow us on a daily basis. The weekly features were all well-received thanks to Ryan H., Daniel Venditto, Jennifer Farris, Josh Allison, Austen Gant, Enrique Parrilla, Benny Stucker, Amy Sue, Colin Bourgeois, Alec Owaza, Brandon Fisher, Steve Sheldon, Jason Roche, George Hart, Nic Dellow, Kamelia Ani, Christopher Galley, and Liam Kennedy's hard work and dedication. Each person helped shine the light on new talent and old friends, supported shops and rad events throughout this great country of ours. Their time and ongoing support are deeply appreciated. Here's a look back at some of the features we showcased in 2017. A HUGE step forward for ChopCult is its ever-growing social media platforms, where we entertain over a half a million folks weekly. I have come to realize that every outlet has a different following and set of considerations. Take Instagram, for instance; it takes five people to keep that platform engaging. Big thanks to Jason, Dan, Nic, and Jennifer for helping me daily and everyone that allowed us to share their images, artwork, and bikes with our community. In today's world, there's a need to be “over the top” on social media (sometimes to a fault) to get the follower interested enough in hitting a link to support your cause. The days of just visiting a website or blog are over, so the hustle remains, and we needed to adapt or become less relevant. One thing has stayed true over the years is that people love freebies. We hosted a lot of giveaways in the main forum and through our Instagram account and more are headed your way. 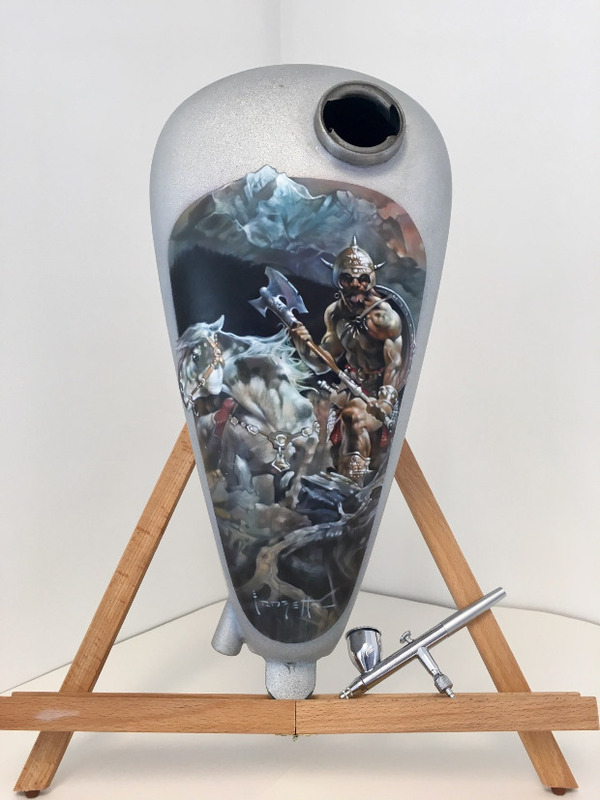 I hope you have entered Painthuffer Metalflake's tank giveaway featuring the incredible artwork by artists Stephen Gibson and Kyle Morley. One lucky member will be winning this gem sometime tomorrow. Best of luck! ChopCult has co-sponsored many events throughout the year, and I'd like to thank every event promoter for including us in their world. 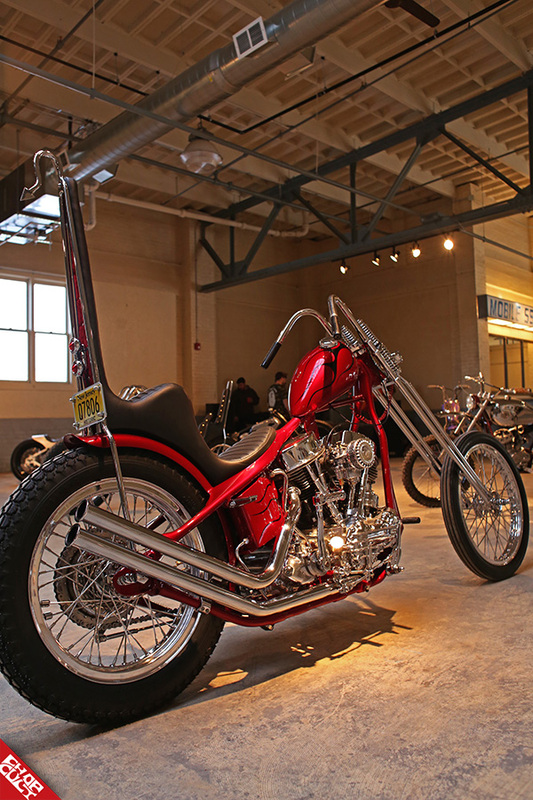 It means a lot to be associated with great events like Strange Days, Cheap Thrills, April Fuels, the Greasiest Motorcycle Show, Hard Times Chopper Show, The Spirit of Sturgis, Born-Free Motorcycle Show, Kernville Kampout, The Reunion Show, and many more. Each event was successful because of your contribution and attendance. Let's keep that momentum going into 2019! Be sure to keep an eye on our event listing as new events are posted on a weekly basis. I would like to thank chopcult for everything, thank you so much!!! very interesting article! read very easily! and I really liked it!